Eggs are one of the cruelest #foods on the #planet. As countless MFA #investigations have documented, many #hens are left to suffer from open #wounds, #serious untreated #injuries, and #infections without proper #veterinary #care. Fortunately, we can take a stand for #birds #suffering at #factoryfarms by leaving eggs off our #plates! And there are TONS of #amazing #plantbased #recipes that have all of the #taste and none of the #torture inherent in egg-based recipes. There are TONS of amazing plant-based recipes that have all of the taste and none of the torture inherent in egg-based recipes. Here are a few of our favorites. Are you dreaming of the perfect hearty #plantbased soup recipes? Dreams do come true with "The 30-Minute Vegan: Soup's On! : More than 100 Quick and Easy Recipes for Every Season" cookbook! Going #vegan would be a challenging commitment for many meat lovers. But if #QueenBey commands it, anything is possible. At least that's the sentiment Beyoncé's fans are expressing after the superstar singer announced that new #vegans may have the chance to win #free #concert #tickets ... with a catch. Last week, #Beyoncé asked her #socialmedia followers to check out her new project, The #Greenprint Project (which she promotes with hubby #JayZ and their nutrition coach Marco Borges), that encourages people to eat more #plantbased foods for a healthier life, body and #planet. The incentive to sign up? A lifetime supply of free #Beyonce and Jay-Z #concerttickets. 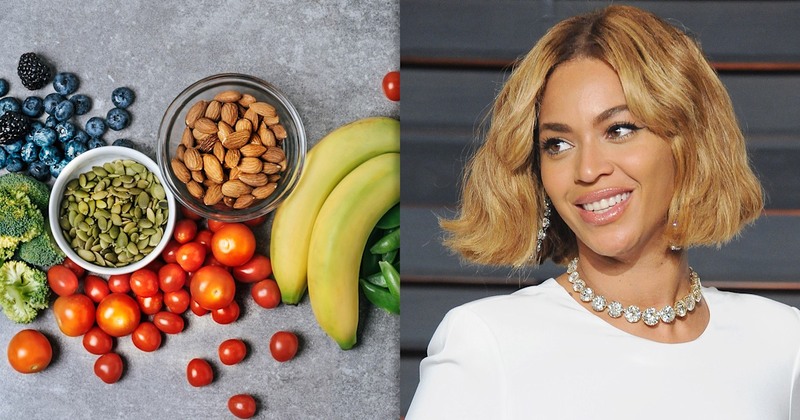 Would you give up some of your favorite foods for Queen Bey?